Most apps in the app stores are free to download and of course you can charge for in-app content after your app is downloaded. But what if you wanted to charge people to download your app in the app stores? 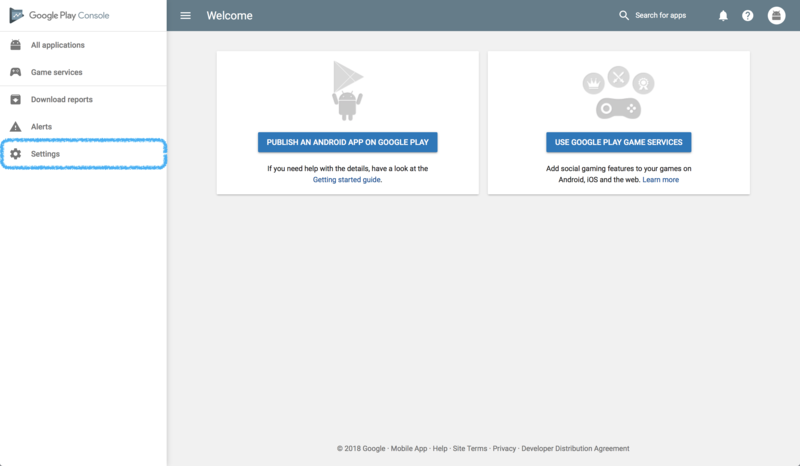 In this article we’ll go over how to charge users for your app. IMPORTANT: This will all need to be done before you submit your app to be published. If you want to charge for your app after it has been published and it was previously submitted as a free app, we can adjust the price of the app in the Apple app store for you but the app will need to be unpublished in the Play Store and then republished as a paid app forcing all of the users who had previously downloaded it to re-download it and pay for it. 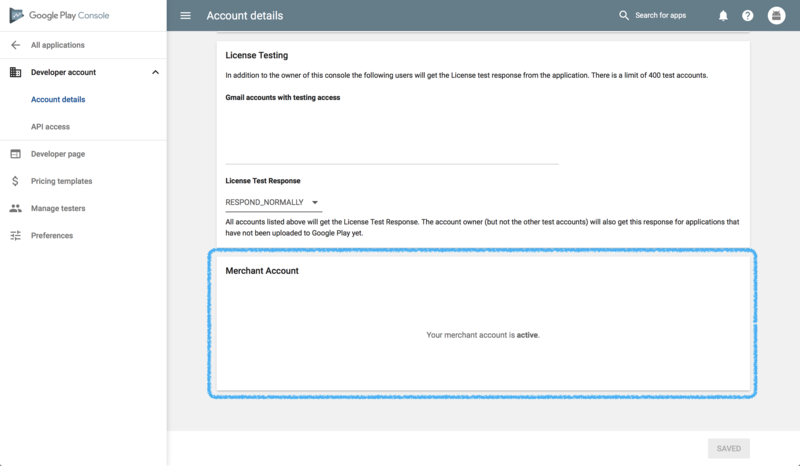 You will need to make sure the Paid Applications Contract is filled out in your Apple developer account, and you will need to activate your Merchant Account in your Google developer account before you begin charging for your app. This is very important. You need the Paid Applications contract in place before Apple will allow you to charge for your app. Make sure you fill out all of your Contact, Banking, and Tax information. If any of these are not filled out, the contract with Apple is not completed and you won’t be able to charge for your app until this is completed. Step 2: Click the Settings tab in the menu on the left. When you have activated your Merchant account it will look like this. I’ve Filled Out The Paid Applications Contract For Apple and Activated the Merchant Account For Google. What Do I Do Now? Fill out all of the publishing information in the “Publishing Info” section. Make sure you fill out all of the information if you want to submit the app to both app stores. Once you’ve filled out all of the publishing information click the “Yes, Submit For Publishing” button which will send the app off to our publishing team. Immediately after submitting the app to our publishing team reach out to us at support@buildfire.com letting us know that you want to charge for the app and how much you want to charge. 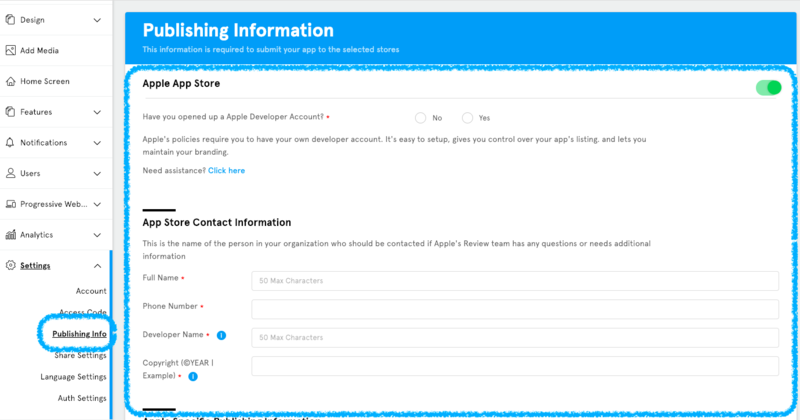 Our support team will let our publishing team know and they will submit your app as a paid app for the price that you specified. This option is available on all of our paid plans, but if you would like to have in-app purchases or in-app subscriptions in your app you will need to be on our Professional or Business level plans in order to take advantage of those features in our system.